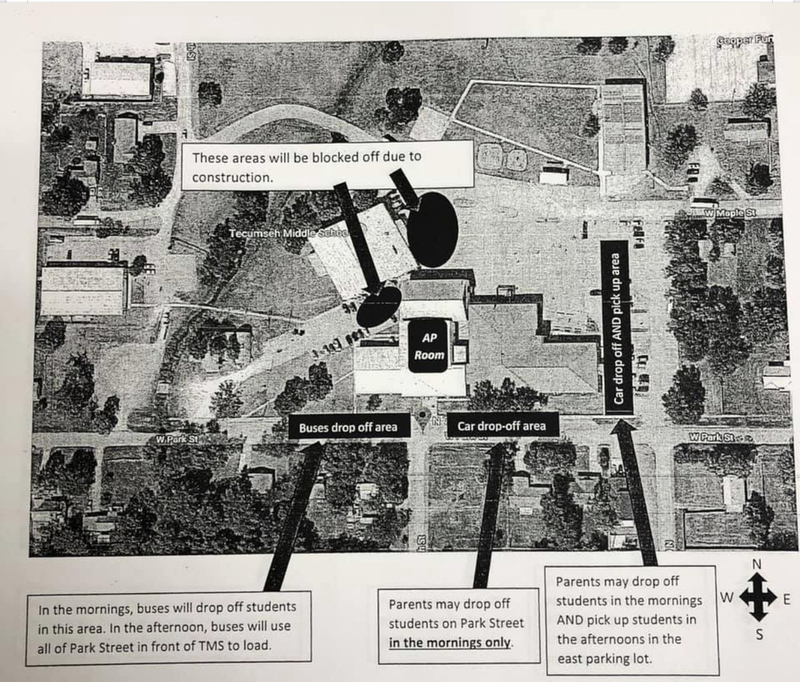 As phase two of the gym/lobby/cafeteria project moves forward parents were facing a new procedure for dropping off their children for school March 25. To make way for heavy equipment, dumpsters and construction materials the area immediately east of the cafeteria doors has been cordoned off and will not be accessible for parking and entry for the remainder of the school year. 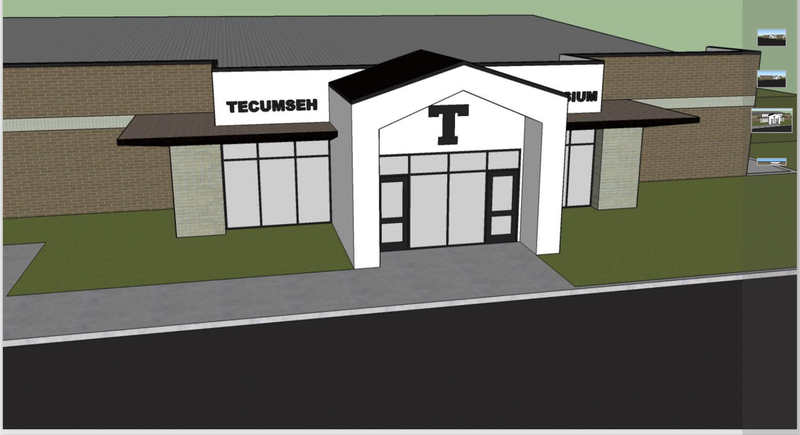 "In order to complete this bond issue project for the start of the 2019-20 school year we had to begin before this school year was over," said TPS superintendent of schools, Tom Wilsie. "While it is probably not the best of circumstances for the next eight weeks for arriving to school by car, we want to insure that our students and families stay safe and are not in harm's way from construction work when they come to school each day. Therefore limiting access to the area around the east side of the cafeteria and gym was necessary." The middle school cafeteria kitchen is being enlarged and remodeled as well as the dining area and entry into the gym lobby. Lunches for the final weeks of school will be prepared offsite at the high school cafeteria and then transported to the middle school all purpose room for dining. Wilsie added, "It will mean some extra work for our food service staff to accommodate the construction, but they are eager to have access to the new kitchen so we are hoping the time passes fast and we can get moved in soon." The final phase of the gym face lift will be the enlargement of the restroom area as well as the installation of multi use sidewalks and a new entry way into the cafeteria. This phase is set to begin immediately upon the end of school which is May 21. 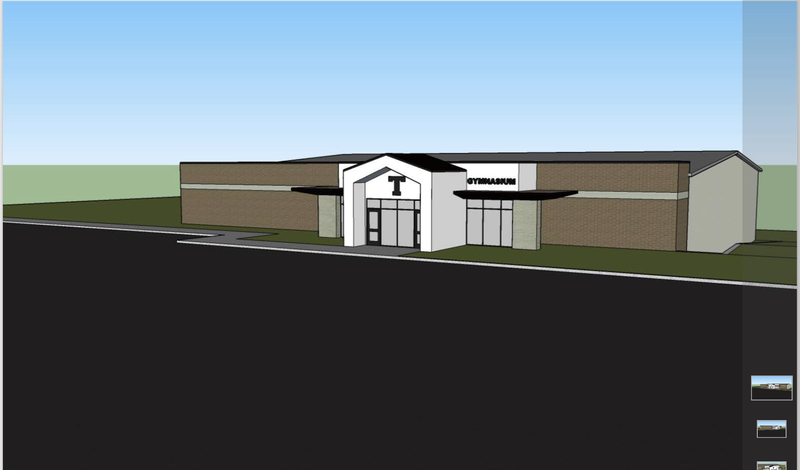 The completion date is expected in mid summer and before school begins in August.